Selling cars without being the registered owner of the vehicle (Vehicle Code § 12120). 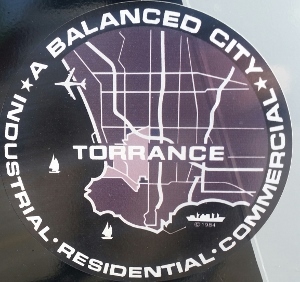 When housing inspectors from the City of Torrance toured his home, they seized three used automobiles recently purchased by our client and had them towed away. Main Point: Torrance, vengeful neighbor complaints results in multiple municipal code misdemeanor charges – entire case dismissed. The charges appeared to be selectively enforced, as almost every single neighbor of our client’s also had a hedge exceeding six feet and a wall exceeding six feet as well, so our client felt he was subject to some form of discrimination as well. The charges related to an extra interior wall and an unpermitted shed in his backyard also seemed petty and, since public safety was not an issue, our client felt a warning, rather than a criminal action was a more appropriate way to resolve the case. As to the charges of renting out rooms within his home to more than two others, such charges were simply wrong, as were the charges of selling cars without a dealer license or not being the registered owner of the car. In reviewing the police reports from the Torrance City Prosecutor, which included supplemental reports and letters from our client’s neighbor, we saw that the City of Torrance saw itself as having no alternative but to act upon complaints. Our client immediately trimmed the hedge, showed the wall was actually six feet in height, that he promised to stop selling cars bought at auctions (even though his sales were legal according to DMV materials) and that his house guests were actually vacationing friends. As to the backyard shed, our client agreed to remove it and also, to remove the unpermitted wall within his home. The case was unusual in that our client admittedly had violated certain code sections, but he was bringing the property into compliance, which was really the intent of the code sections dealing with property issues. As to the automobile sales, Greg Hill showed the City Prosecutor the vehicle registration records and auto auction purchase documents and explained how each of the sales was within DMV regulations and thus legal. Moreover, our client promised to stop buying automobiles at auto auctions to later sell. Consequently, the Torrance City Prosecutor agreed to dismiss the case, which pleased our client greatly. Our client, however, was asked to pay certain investigation charges, which the City Prosecutor reduced greatly upon realizing that many of the charges were mistaken. As to the three cars towed by the City of Torrance, our client abandoned the cars to the tow yard, as it demanded large storage fees, which we demanded the City of Torrance pay, but the storage yard refused to waive.